And three reasons to not give up hope. 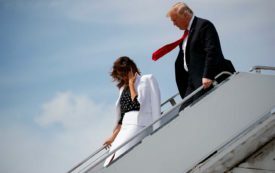 Melania Trump: Hero of the People? 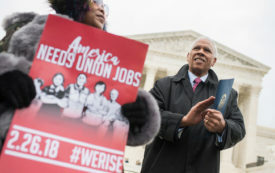 Amy Wilentz on the first lady, plus Katha Pollitt on the politics of motherhood, and Lee Saunders on unions after Janus. 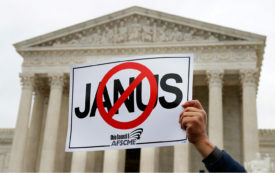 Will ‘Janus’ Prove to Be the Fatal Blow That Unions Have Long Feared? Or will it inspire the kind of militant unionism that could still resurrect the labor movement? 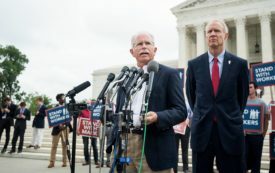 A judicial assault on unions and Justice Kennedy's retirement confirm that the makeup of the Supreme Court must be a central issue in every 2018 Senate contest. 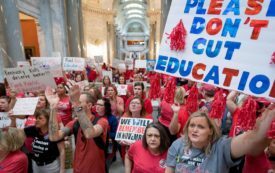 The teachers in West Virginia, Oklahoma, and Kentucky show us that successful labor action can happen in any environment.